Length about 5 mm. 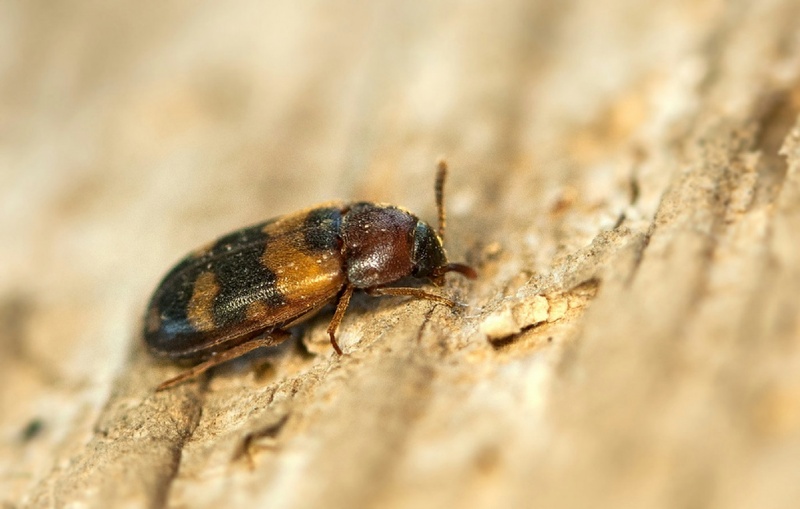 This beetle has dark brown or blackish elytra marked with almost a full orange band near pronotal base and other smaller orange markings. It has a black head, and dark reddish pronotum. It is found under fungus infected bark and in bracket fungi on broad leaved timber and is believed to be restricted to old woodland. Best from April to September. Widespread but local fungus beetle recorded in England and Wales, and also in South West Scotland. Infrequent in Leicestershire and Rutland. There were a total of 11 VC55 records for this species up to March 2015.